Spiky obsession: Still not looking good, but getting better. We had a lovely weekend away with family, which gave a break from the work in the garden. Before we left the seating circle was set out properly. 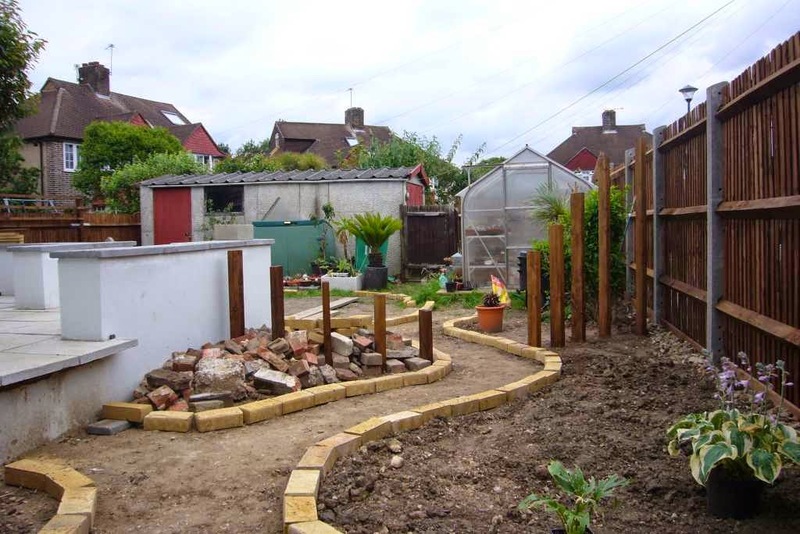 It was nice a nice change to be working with bricks for a change, a lot of work in the garden at the moment seems to be around fixing bits of wood, if it's not fences, it's battens. Then today it was back to wood, although a little more interesting as it was time to fit the vertical slats as a slight divide to the side garden. It took a while to work out heights and exact locations to give them a nice curve. The paths had to be laid out to get everything in the correct places, currently the bricks are just placed on the surface, at some point I'll have to properly set the levels. The slats don't obstruct the view from the seating area, and really need the plants around them get the full effect. It will be a while until we really know if they work, but we like them so far. 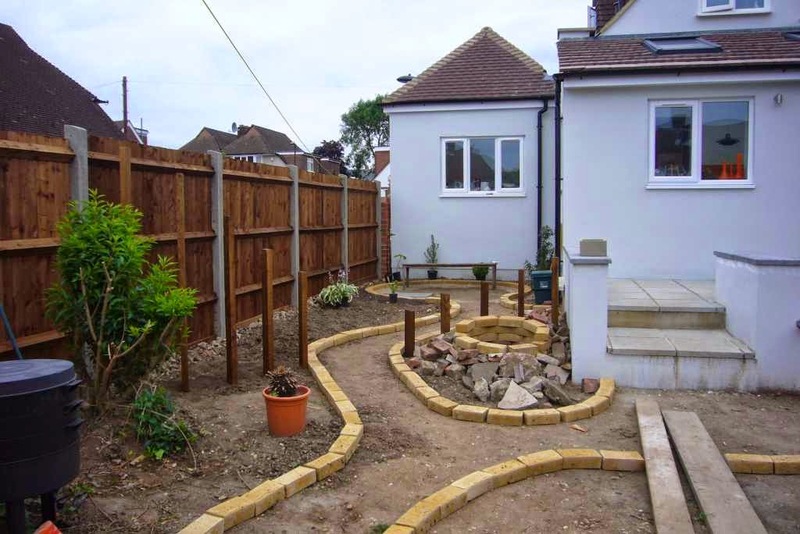 Then it was time to start building up the first raised rockery. There is around 3 tonnes of rock turning up on Wednesday to make it look pretty, but to save money rubble from the works has been stock-piled ready to build the levels up. The big cycad, visible in the large pot at the bottom of the garden, will be planted next to the slats. 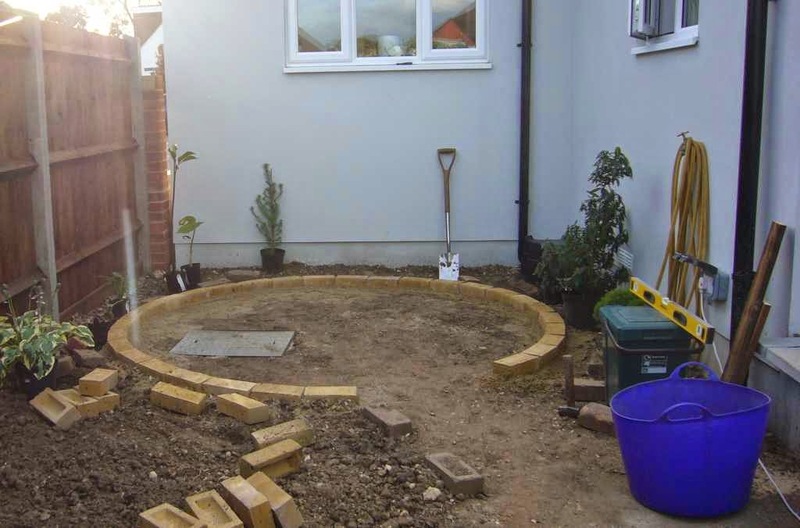 It needs more soil, so a well has been built out of bricks to keep the area clear. This way it can simply be planted into it, instead of of having to struggle to make space. 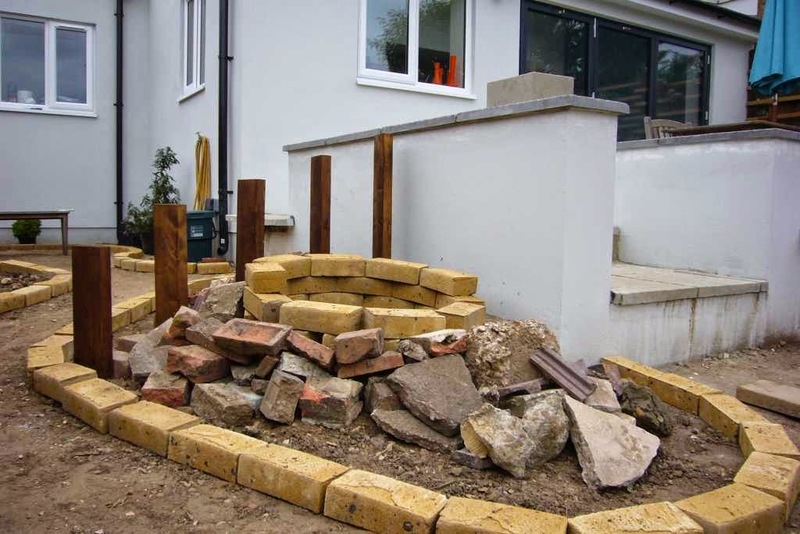 The whole pile will be covered in a layer of gravel and soil, with the rockery stone used to form pockets to plant into and to hold the gravel in place. Hopefully you will never know this lot's buried underneath once it is all finished. The I get to plant it. 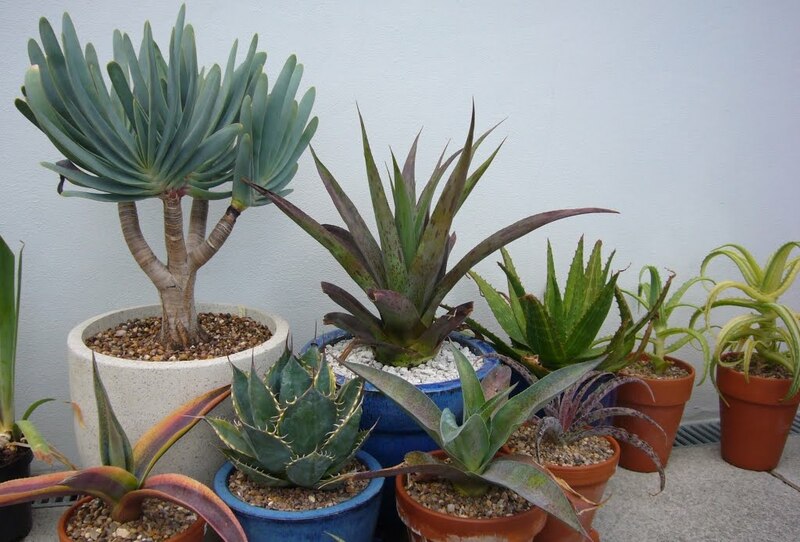 The main garden side will be succulents planted around the cycad. I think it will be a good spot for a some echeverias and a few small agaves. The other side, will be mainly alpines, I am undecided if it is going to be strictly alpines, or an alpine style planting. It finally feels like the garden is getting close to having some plants in the ground. Although there is the certain matter of 3 tonnes of rock, and a tonne of gravel to sort first. I disagree, I think it is looking good. I love to see progress shots and your design is inspiring. Thank you. I guess I have been looking at bricks and builders rubble for so long it still looks a bit like a builders site to me. A lot of the hard work has been bone now, it is down to cosmetics and planting now. I am pleased with the design, sofar is it is working as I hoped it would.